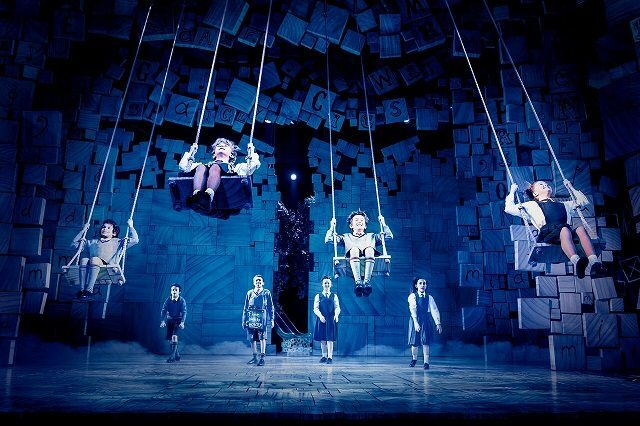 "truer to Dahl’s original book than the American film"
Whilst I didn’t have the pleasure of the original cast of Matilda, the casting is still very strong. On the evening I attended, Cara Jenkins brought an interesting level of angst to the role of Matilda, making her plight very real. Jenkins’ singing voice was lovely and overall I was thoroughly impressed with all of the children, who showed genuine performing prowess beyond their years. Above all, my favourite element to the show was Minchin’s music and inspiring lyrics. They spoke to me in a way that other lyricist have never quite managed. Musical ponderings from Matilda such as “There's no way of knowing if red means the same thing in your head as red means in my head,” perfectly sum up the burning questions children have inside of their developing brains. It sort of made me wonder when I stopped questioning things? Most of all, Minchin captured the bravery of children in the song “Naughty.” “Just because you find that life’s not fair, it doesn’t mean you just have to grin and bear it. If you always take it on the chin and wear it, nothing will change.” This line, from the mouth of someone around 20 years younger than me, speaks such sense to the audience who are perhaps reminded that children are much more honest they adults could ever dare to be. I loved Matilda, I really did. This production is truer to Dahl’s original book than the American film, thus marking a return to its British roots. The set, cast and beautiful music made this show one of the best musicals I have seen in years. I left the Cambridge Theatre with a smile and a burning urge to be just a little bit more naughty! 26 September 2017 - "tender, clever but heartfelt too"
8 May 2014 - "truer to Dahl’s original book than the American film"